Akiles Finish-A-Coil E1 electric spiral coil inserter with crimper features adjustable full-size rollers that help with bigger sized coils. The built-in electric coil crimper saves time by cutting end pieces off bindings. The Akiles Finish-A-Coil E1 electric spiral coil inserter with crimper features full size 11-3/8" EPDM durable rubber adjustable rollers that help with bigger sized coils. A built-in electric coil crimper easily crimps the ends of coils. A handy coil diameter scale helps verify the coil diameter size. Perfect for binding centers with large workloads. 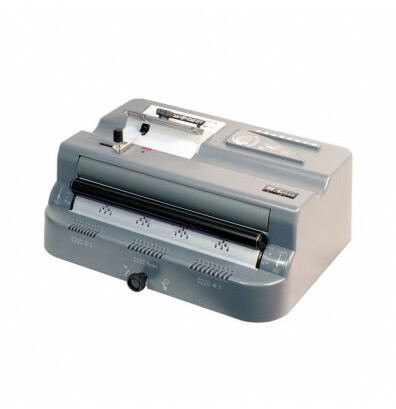 This Akiles Finish-A-Coil E1 electric binding machine offers foot pedal operation that allows both hands be free. The pedal can be set to automatic mode to switch between inserting and crimping based on the built-in sensor, or it can be set to manual for complete operator control. An adjustable crimper head mechanism provides perfect crimp results in all coil sizes. The synchronized roller/crimper adjustment makes it easy to set the correct roller position and crimper angle for different coil sizes. Please note: This machine does not have punching capabilities. 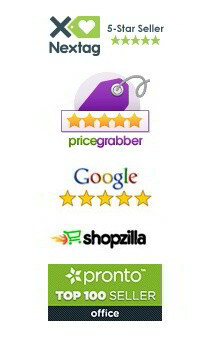 "CE": Meets European Union market conformity standards. "Q" and "E": Meets ISO9001 and 14001 guidelines for high quality control and environmental management standards. 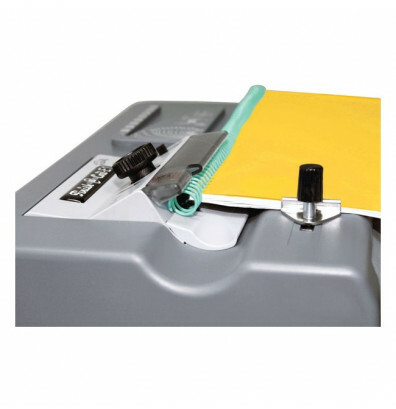 Pitch identifier verifies that the coil pitch matches that of the punched document.